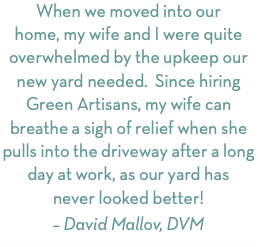 Based in beautiful Portland, Oregon, the gardeners of Green Artisans aspire to create and maintain vibrant gardens alive with health and beauty for the people who live in them. We know that every garden is as unique as you are, so we use our 20+ years of experience to produce a thriving garden that suits your taste, your home’s architecture, and the specific and individual traits of your land. We practice mindful organic gardening, always working with an eye toward what is sustainable and will ensure a happy future of improved soil quality, plant vitality, and beauty for your garden. 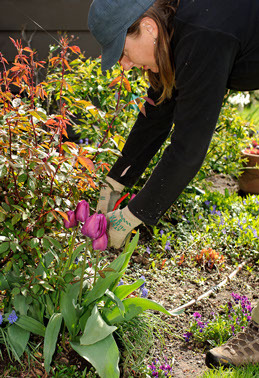 Head Gardener Courtney Downing has a family history of stewardship for the Willamette Valley. Her great-grandparents farmed what is now Mt. Pisgah Arboretum and her grandfather helped build many of the park centers around Oregon. She began her education studying Natural Sciences at Lewis and Clark College, which led her to the Landscape program at Portland Community College . Courtney then designed her own major, Sustainable Garden Design, at the University of California at Davis. She continues to take classes and is a member of the Association of Northwest Landscape Designers.